The Strategic Agricultural Planning Committee has prepared an ambitious Plan for improving the production of a variety of agricultural products, and for establishing agro-industries, with the aim of attaining a degree of food security. Unfortunately, this Plan cannot achieve the intended production potential envisaged by the Committee, because they are based of factual field information, ie, not done through required field sample surveys. Further, there is no indication as to how and who will be implementing the plan. Is it the Government, or are the farmers expected to implement what the government has planned for them. In reality, the number of our farming communities, those who are available and capable of participating in the application of the plan, is limited and without the technical know-how, financial or mechanical capacity to implement such an ambitious Plan. Further, such farmers are still living away from their farms and need support in order to return to their farms. The Committee has also assumed that by simply allocating funds, agricultural production can be increased. It is important that, before we embark on any other action, we need to address reasons for the decline of the agricultural production and find solutions to remove any existing obstacles. Can the farmer compete with the vast agricultural imports of a variety of food items that enter the Region? Are our production, storage, and marketing techniques of such a standard so as our products can compete with the imported goods? The Committee has further completely ignored existing policy issues. There is no mention of the negative effect of the open trade policy, or the influence of the Oil for Food Program, through which thousand tons of flour, not wheat, are dumped monthly into the market, lowering thus the market prices of the locally produced wheat. Further, do we have any checks to limit the import of fruits and vegetable, pulses, or dairy products to our region? The writers of the plan have also ignored the implementation times required for the import of agricultural equipment, building of the agro-industries, or even of the time a fruit tree needs to bear fruits. The Plan ignores feasibility studies required for implementing the recommended agro-industries, their capacities, and their economic advantages for the location where the agro-industry is to be constructed, neither there is a study for the possibility of marketing the products. For a better implementation of a sound agricultural plan, we need first to carry out a general survey to see the extend of crop production, their current potential yields, reasons for low production, whether they are related to application of low technology or are they caused by policy issues? We need to know the general soil fertility levels to determine the kind and amount of fertilizer we need to import. Similarly, we need to see how can we raise crop production levels? Do we do that by achieving vertical yield increases, increasing yields, Or, mostly through horizontal means, through increase in the land area? If it is the latter, where and how much, and by what means?? Looking at the Plan one sees an extensive shopping list. The Plan is done in a hasty mechanical way without much thought on how it is to be implemented, who will implement it, and whether the government is taking up the whole burden, on a socialist style, or is it sold to the farmers who were not involved in its preparation. For the improvement of the agriculture production and to rejuvenate various agricultural sectors, we need an entirely different approach. The approach to be used would be in line with the World Bank system, whereby, after identifying a specific area that requires support, a thorough project preparation is carried out which sets down detailed information on the sector, such as available lands, production levels, status of the farming communities, number of agricultural machinery present, and a whole range of information of policy matters and local capabilities. After such an exhaustive study, then a project appraisal is formulated to address the issues identified under the initial preparation study. This appraisal then is followed up by an implementation plan through a project management system that would be in charge of the implementation works. Further, to check on the progress of the project components, a follow-up system is put in place to check on the progress made under the project and keeps a watchful eye on the implementation details of the project. This is the basis of project formulation and its implementation. How long does it take? That depends on the project components as identified in the implementation plan. It is my suggestion this new approach is to be used for the rejuvenation of the agricultural sector. There would be a main project with specific components, or a number of projects targeting specific crops or agro-industries. If the authorities are interested, then I will prepare a detail account on how a new plan be made for the rejuvenation of the agricultural sector. I also recommend that the World Bank be requested to participate in the formulation of a comprehensive plan to rejuvenate the sector as soon as possible. I have been a member of many such preparation/appraisal teams who visited many countries around the world who were supported by Bank loans toward improving their agricultural sectors. The Agricultural sector has been badly damaged. The relocation of village farmers to collective settlements, the implementation of the Oil for Food Program, Government’s inaction on policy matters, its open door trade policy, lack of training of the agricultural staff, and budgetary restrictions have kept the agricultural sector in limbo. Kurdistan remains the main agriculturally productive region of Iraq. Moderate rainfall has made annual cereal production possible. Further, natural range has provided feed to the livestock to a large extent. In addition, surface and underground water has made summer cultivation feasible. Rejuvenation of the agriculture sector is crucial to stabilize the economy of Iraqi Kurdistan, it would provide food security for the population, absorb the high rate of current unemployment, and improve and stabilize the quality of life of village communities. Such rejuvenation would also contribute to better environment, improved water conservation and decreased soil erosion. The Oil-for-Food-Program: Restructuring the Oil for Food program, should take top priority, as it is the main disincentive to the production of our major crop, wheat. (Please see Attachment #1, “Restructuring the Oil for Food Program”). Further the issue of open trade policy should be reviewed and required action be taken to curb the uncontrolled influx of goods into Kurdistan, especially when quality checks is less than to be desired. Land fragmentation is another negative factor in the way of improving production levels of the agricultural sector. Legislation for restricting use of the agricultural lands for non-agriculture purposes are required to limit use of the Agricultural lands for settlement, industrial and other non agricultural uses. Further, non essential road construction in the mountainous areas should be forbidden to preserve the integrity of the existing landscape , preserve the underground water levels, and slow down soil erosion. To enhance production level , Agricultural Research and Extension activities should be supported to select improved plant and animal breeds with improvement in applied cultural practices and livestock management, such as Soil fertilization, use of weed and pest control measures, better storage and marketing practices, provision and better use of mechanization techniques, improved animal nutrition , expansion of fruit nurseries, and provision of agricultural credit. Further, to protect the animal and plant wealth from the menace of endemic , pandemic, and epidemics, a strict quarantine measure must be applied at border entry points. In addition, storage and marketing practices must be upgraded to compete in a global market. WheWheat is an essential staple crop that we cannot do without. A scheme is been suggested for the low rainfall areas, taking Garmian as an example. Please see attachment#3: “ Enhancing Wheat production Yields in Garmian”. Soybean is an important crop that should be promoted and cultivated on a large scale. This crop makes up an important feed ingredient for livestock and poultry. Maize or corn is another outstanding crop, not only for use as mixture with soybean as feed, but also for human consumption. Sunflower is an oil crop that can be grown profitably in Iraqi Kurdistan under rainfed conditions, and it is the chief source of household vegetable oil. Potato is an important staple food for all sectors of the society and should be given more attention in research to select disease free varieties and to plan annual certified potato seed production in selected cool region of Kurdistan. Kurdistan is home to important fruit tree species, pirus species(Pears). Many other fruits do well, especially plums, peaches, almonds, walnuts, pomegranate, cherries and figs. Another important fruit is the grape. Superior fruit trees should be isolated and used as mother trees being the source for grafting other trees. Olives are grown in wormer climates and has a limited area. The crop is very important both as a source of table olives, or for pressing and production of oil. Farmers in suitable areas must be encouraged and supported. to expand its cultivation. Forestry has survived the worst at the hands of the former regime in its scorched earth campaign for over three decades. Landmines abounds in the countryside and would possibly take years to resolve. The Forestry Department has been planting over half a million trees in the region every year for the past 10 years. This effort should continue and need not slow down. Forest tree nurseries should be expanded and supported. Forests, in addition to their aesthetic value, improve the environment, are important sanctuaries for the wild life, in addition, to facilitating soil water percolation thus help increasing underground water storage. Thanks to the efforts of the KRG, forest trees are back on track, wild life is on the increase, and laws prohibiting tree cutting and killing wild life are in effect. However the menace of land mines will stay with us for years to come, requiring intensive action by our government. Roads in the countryside must be built with utmost care. Ban on hunting wild life should continue and strict measures must be taken to prevent wild fires. Special instruction s are required to regulate public land for picnics to avoid damage to the countryside and prevention of the wild fires. It is very important that large parcels of land in selected suitable areas are set aside as national parks to keep at least part of the countryside in a natural state. Therefore, isolating large parcels of land at specific locations will provide the public with grounds to enjoy, help and would protect scenic location from abuse, and the natural vegetation would be preserved. Botanical gardens are established to help preserve the flora and fauna of the area where they are set up. Many plant and animal species are annually endangered and possibly lost. Therefore, selection and protection of few specific locations are important to protect and preserve the genetic variations that exist in our natural flora and fauna of our countryside. Further, specific plant species could be moved into this area to insure their safeguard. To better utilize local agriculture products and to decrease dependence on imports of household needs for pasta, oils, sugar, canned vegetables and fruits, Dairy products, jams and fruit juices, and in order to provide for a market for these products, establishment of specific agro-industries become a must, especially to provide for jobs for the people and to raise the living standards of the rural population. Such agro-industries would be established in specific areas known for their potential for the production of the raw material required. A feasibility study must be carried out to delineate potential areas where the agro-industry is to be set up, citing clear advantages over other suggested sites. The decision needs to be strictly based on the economic advantage rather than regional rivalries or political decision. Existing agro-industries should be supported or expanded and its management to be improved. One of the important Agro-industries that need to be immediately set up is feed mills which are needed by the livestock and the poultry enterprises. Current market prices of beef, lamb and poultry are rather high mainly due to high import prices of feed. 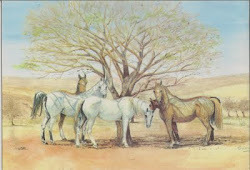 Kurdistan is well suited for livestock production due to abundant range and extensive production possibilities of feed. The current large import of dairy products is un-warranted. The existing pasta production agro-industry should be supported, with possible expansion. Similar consideration as presented in A above should be considered. 5. Fruit and Vegetable Canning, and Juicing. Establishment of above agro-industries would improve and expand fruit production in Iraqi Kurdistan and would lead to increased production and better management of fruit orchard as market demands increased for fruits and vegetables. The main crop used at present is the sunflower. Since the current few oil pressing plants are insufficient, a feasibility study would be required to determine where other processing agro-industries be set up, sufficient to satisfy the needs of the local population. Growing the beets alone for sugar production is costly and would become economical only when combined with the dairy industry. Another important consideration is that introducing sugar beet in the farming crop rotation program, improves production potential and leads to increased yields in such a rotation. Kurdistan is well suited for the honeybee culture and its production should be expanded and improved. 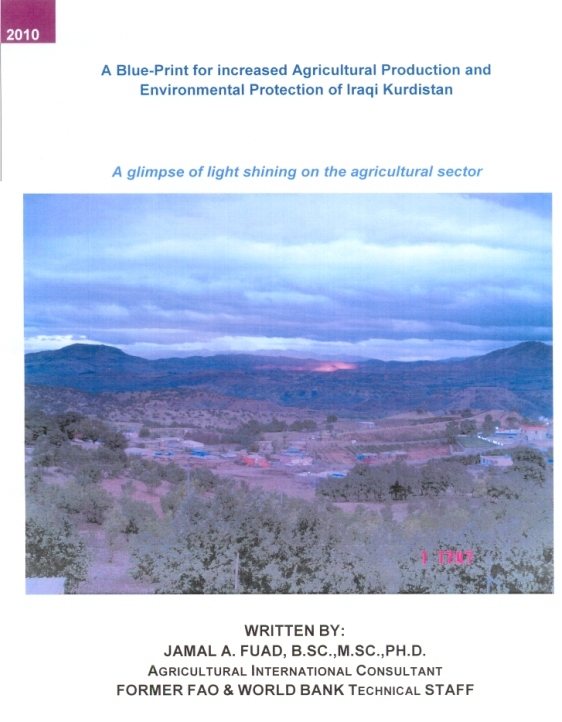 Reasons for the sad state of agriculture in Iraqi Kurdistan are many and quite complicated. A quick survey of the markets show clearly that very few locally produced agricultural products are to be found. Here, I wish to highlight some of the main obstacles that were detrimental to the sector. First, the relocation of village farmers to collective settlements disrupted farmers’ way of life and discouraged many to ever return to the farming profession. This forced relocation made many to pick up jobs other than farming. Their Children also grew up in a non-farming environment, becoming reluctant to return to village life. Second, the implementation of the Oil for Food Program, which is being continued to date, albeit with a slight modification, gave a heavy blow to farmers’ effort to return to the farming sector. Under this program food needs of the population were secured solely through import, rather than through local purchase, which made marketing of local production problematic. A thorough review of this program and its immediate modification is paramount to any progress in enhancing agricultural production. Added to these two main factors is government’s lack of focus on the agricultural sector, its open door trade policy, lax in the training of the agricultural staff, and limited budgetary allocation that have kept the sector in limbo. Kurdistan remains the main agriculturally productive region of Iraq. Moderate rainfall has made annual cereal production possible. 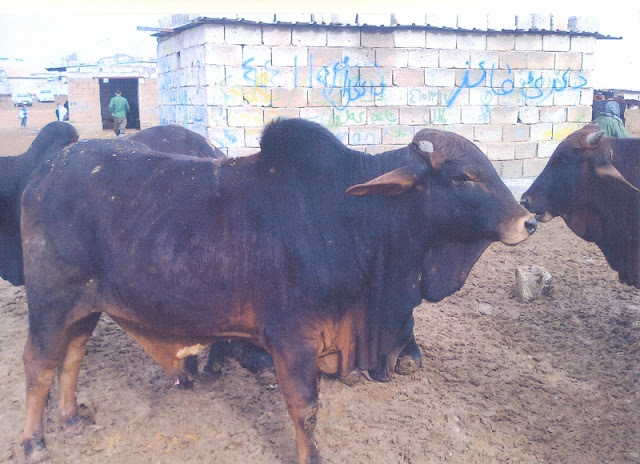 Further, natural range has provided for the basic needs of the livestock to a large extent. In addition, moderate availability of surface and underground water has made summer cultivation also possible. 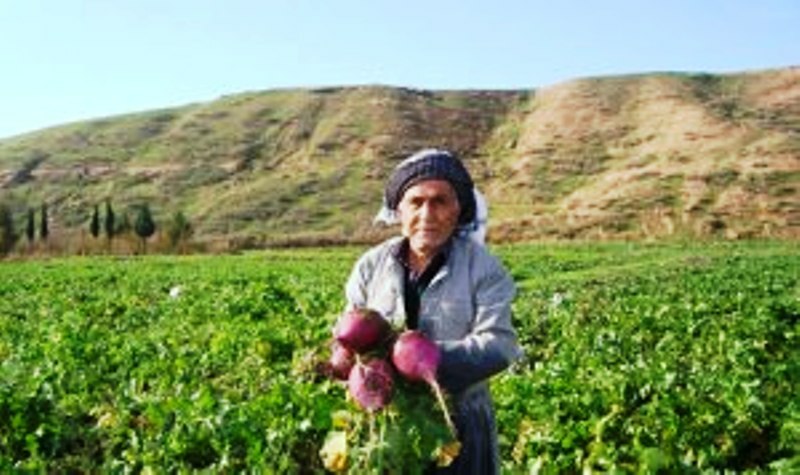 Rejuvenation of the agriculture sector is crucial to stabilize the economy of Iraqi Kurdistan and insure the return of the farmers to their villages. Again, rejuvenation of the sector would provide food security of the population. The world is seeing a trend in the shortage of agricultural production which would push prices up, with lower quality, in addition to the facts that importing certain food items may just not be possible. Supporting this sector insures Kurdistan to totally depend on itself for its essential food needs, with possible export of its surplus, either to the rest of Iraq, or for export. Another important benefit is that rejuvenation of the sector would absorb the high rate of unemployment that is rampant among the our youth, who have lined up to migrate out of the country, in spite of great risk to their life. Kurdistan cannot afford losing its talented youth. Further, rejuvenation of the sector would improve and stabilize the quality of life of village communities. The current medieval status of the village life need to change and must be brought up to join the era of innovative technologies in agricultural production. Further, judicial utilization of our god-given natural resources would contribute to better environment, improved water conservation and decreased soil erosion. To rejuvenate the agricultural sector, attention should be focused first and foremost on the negative effects of current policy issues, especially those related to import/ export, of agricultural products, and that of the Oil for Food program, and others. Regarding the import /export issue, we need to be aware of the facts that our neighbors are heavily subsidizing their exports, thus lowering import prices. Such practices aim at lowering local prices to values below the cost of production. Further, due to lack of proper production technology, yields/per unit area of our agricultural products are low, and also of poor quality, adding further to the already high production cost. This situation gives additional advantage to imported food items. The third important policy issue is that of excessive agricultural land fragmentation due to the application of inheritance laws that leads to the division of the lands among the descendants of the principal land owner. For better economic resource utilization a way must be found to increase the size of cultivated fields. It is also important that agricultural land owners be advised to annually utilize their fields to increase national production of agricultural products. It is imperative that no farmer leaves his land uncultivated, except for justified technical reasons. A Tax system should be put in place for land unjustifiably left idle during any season. The fourth important policy issue is the importance of safeguarding agricultural lands, to minimize its use for settlement, roads, airports, industrial projects, etc. emphasizing the use of non-agricultural lands for such needs, such as hills and rocky areas. Further, non essential road construction in the mountainous areas should be forbidden, not only due to its negative esthetic appearance and dangers of soil erosion, but most important for its negative effect on soil water percolation, and eventual decrease of the ground water in the area. In a global economy our farmers have to catch up with modern technology in order to gain economic advantage in a competitive market. We must constantly update our technical capabilities, improve the quality and quantity of our agricultural products and catch up with the outside world. To do this we must and foremost develop a cadre of informed agriculturists who can assist the farming community attain the degree of excellence in their effort to improve the quantity and quality of agricultural products. We must support the agricultural experimental farms to carry out meaningful research to select better plant and animal breeds and develop agricultural practices that insures better yields and of better quality plant and animals products. To develop this capability our agricultural staff need to be highly trained, continuously follow advancing trends in their specialized fields, and be in touch with International Agricultural Research Centers as much as possible. Further it is important that the research staff be encouraged to participate in seminars and conferences as much as it is possible. Greenhouses, cold storage space, veterinary supplies and facilities, etc. should be made available to researchers for carrying out adequate research in all aspects of agricultural improvement. Further a well educated staff, trained in plant, poultry, and animal research methodologies is required to carry out meaningful research to insure adequate conclusion from the research conducted. Such staff should have constant communication with relevant International Research Centers for consultation and periodic visits. Attending international conferences and symposiums is another way to enhance the capabilities of our research workers. Extension is the art of transferring newly-found technologies from research institutions to farmers’ fields to improve the quality and quantity of agricultural products. Without this activity, research results will remain unused and money spent on research activities wasted. Therefore, applying a suitable and economical extension system becomes paramount to introduction of better farming practices, and to enhance levels of agricultural production both quantitatively and qualitatively. Support to this center involves insuring staff mobility, continuous training of the staff in the art of plant and animal production and regular visits to farmers fields, especially at critical times of animal, poultry, and plant production cycles. Modern agriculture requires suitable agricultural equipments and implements to adequately carry out timely field requirements. The machinery requirements of the agricultural sector is seasonal, and hence, it is important to have the machinery available at the proper time required. By proper machinery it is meant that adequate selection be made for the plains and the mountainous areas for plowing, harvesting, and seeding needs. Soil depths and texture also dictate the type of machinery needed. At present small harvesters are lacking in the mountainous regions, delaying the thrashing of wheat grown in these areas. Deep plowing should be avoided in shallow soils and therefore selection of proper machinery is essential to keep the agricultural field fertile, and avoid soil erosion. Cultural practices involve the total handling and management of the agricultural operations on the farm. Proper management involves timely immunization of the farm animals, soil fertilization, applying weed and pest control measures, seed preparation, timely planting and harvesting, proper storage, minimizing after harvest losses, etc. all are management tasks that enhances agricultural production on the farm. Annual, supervised production of foundation and certified seeds, selected by the agricultural research centers insures clean weed free seeds with maximum germination. Suitable root stocks will improve the yield and quality of our fruits. Likewise introduction of better poultry breeds and small and large livestock breeds can improve farmers’ ultimate income gains. Artificial insemination of the local breed will eventually improve the production potential of the local breeds. Adequate supply of proper nutrition to plants, poultry and animals is as important as the breeding stocks themselves. Proper fertilization of crops as recommended by the agricultural research centers, using major and minor elements, would enhance plant yields. Likewise proper nutrition of livestock and poultry would produce healthy individual, less likely to be prone to prevalent endemic diseases and epidemic disease cycles. Increased provision of fertilizers and disease and pest control chemicals, in addition to the provision of proper feed for the livestock and poultry are important to stabilize agricultural production. Supply of credit to farmers is essential to ensure timely needs of the farmers of feed, fertilizer and protective means to raise healthy plants/and animals. Further, returning farmers should be more thoroughly targeted to encourage them and to help them procure their essential needs of implements, feeds and fertilizers. To protect our plants, poultry and animal wealth, it is essential that quarantine measures taken at the entry points of our region to prevent entry of diseased animals, poultry, or plants to the region, except after thorough quarantine measures. This measure requires that at specific entry points of our regional borders all living agricultural items are kept for specific periods to insure that they are free of harmful diseases that could endanger our own. Facilities of space and qualified staff are required to insure success of such a scheme. It is vital that we have sufficient silos for storing grains produced in the region to prevent after harvest loss. Leaving the grain in the open will expose it to the birds and rodents and other animals to either consume a large part of it, or otherwise decrease in its quality and it will affect its marketability. Current marketing of our agricultural products is quite inadequate that has contributed to product spoilage and decrease in its value. It is essential that we introduce proper packaging methodology and insure its storage and sale under proper roofing that eliminates adverse weather conditions of rain, heat or cold and damaging effects of rodents and pests. Open-door Trade Policy of Agricultural Imports. The current open door trade policy for importing all agricultural products has to be better managed. Many of the imports are heavily subsidized by their governments to facilitate its marketing in Kurdistan.. Further, due to minimum quality control measures on our side, the quality of the imported products is below international standards. Also, taxation of imported goods is not high enough to deter such imports Further, importing of items locally available should be minimized. The current wide open door policy, with minimum taxation and quality control has given advantage to imported goods. At the same time, farmers should be supported to improve on their storage and marketing techniques to encourage consumers purchase local products. This trade policy should be seriously looked at. The Oil for Food Program has been the main disincentive factor in the agricultural sector. A thorough discussion of the negative effects of this program appears in Attachment #1, presented at the end of this report. To jumpstart the agricultural sector, credit is required to support returning farmers to restart their farming operations. Such credits would finance required housing needs, implements and tools, and the purchase of a number of livestock, sheep, and poultry. Furthermore, farmers should be supported to acquire irrigation water either through extending surface irrigation water, or through drilling artesian wells. Such credits could be on short or long terms loans. The credit banks could then engage in the operation of a revolving funds in support of large farm communities. . Soybean is another important crop that should be promoted and cultivated on a wide range. Initial tests show the success of this crop in Iraqi Kurdistan. This crop makes up an important feed ingredient for livestock and poultry which will be mixed with other crops such as maize, wheat, and wheat hulls plus some forages and required vitamin additives to make up an outstanding feed mixture. It is recommended that large quantities of selected varieties of this crop be immediately procured and farmers be encouraged to cultivate it, possibly under contract with feed mill industrial enterprises. Maize or corn is another outstanding crops, not only for use as mixture with soybean as feed, but also for human consumption. The crop is well known in Kurdistan but unfortunately it has not been cultivated on a large scale. Again farmer must be encourage to expand its cultivation for its valuable nutritional values. As this crop is highly cross pollinated, it is advisable to initially import synthetic varieties rather than double cross hybrids due to its prohibitive high cost and decline of its yield when grown in successive years. However future research efforts should its attention to produce double hybrid varieties which are more productive. Sunflower is an oil crop that can be grown profitably in Iraqi Kurdistan and it is the chief source of household vegetable oil. It is grown for the most part under rainfed condition in early spring, but it should be irrigated if spring rainfall is insufficient. Potato is an important staple food for sectors of the society and should be given more attention in research to select disease free varieties and to plan annual certified potato seed production in selected cool region of Kurdistan. Attention should be focused on the production of virus free varieties with specific cooking qualities desired by the people. Further, cold storage facilities need to be provided to insure adequate annual seed distribution that are fungus and virus free. Such seed production could be also produced under contract with farmers for the production of certifies seeds. Kurdistan is home to important fruit tree species, pirus species(Pears). Many other fruits do well, especially plums, peaches, almonds, walnuts, pomegranate, cherries and figs. Another important fruit is the grapes with hundreds of varieties spread out in the countryside mostly grown under rainfed condition. Unfortunately, pure stands rarely exists and every orchard is a mixture of many sorts. Further its cultivation has not improved in spite of century old cultivation. A few years ago over 200 cultivars were collected and planted in the experimental farms, no further action has been followed up towards a wider study and selection of the superior types. Also fruit tree nurseries should be expanded to carry out research on local varieties, and introduce superior mother plants for improving local orchards. Such fruit trees are isolated and used as mother trees for grafting other fruit trees. Olives are grown in wormer climates and has a limited area. The crop is very important both as a source of table olives, or for pressing and production of oil. Farmers in suitable areas must be encouraged to expand its cultivation, Further, small oil press should be imported and located close to olive production areas to facilitate olive oil production. After years of abuse, burning and cutting, forestry has survived the worst at the hands of the former regime in its scorched earth campaign for over three decades. Further the regime buried millions of landmine(estimated at 20 million) close to areas of combat with Iran. While to the KRG effort, has acted forcibly against tree cutting and hunting of the wild life, The scope of the landmines in the countryside would take possibly half a century to resolve. The Forestry Department has been planting over half a million trees in the region for the past 10 years. This effort should continue and need not slow down. Forest tree nurseries must be supported to produce suitable seedling as much as possible. Forests, in addition to their aesthetic value, improve the environment, are important sanctuaries for wild life, in addition, to facilitating soil water percolation thus increasing degree of underground water storage. The scorched earth policy of the Baathist regime during its campaign against the Kurdish people followed by the invasion of Iran, devastated the countryside. The army cut and burned bushes, and forest trees, build unconventional roads, and dug up the hills for the tanks, thus exposing the landscape to a serious soil erosion. Thanks to the efforts of the KRG, as mentioned in the previous section, forest trees are back on track, wild life is on the increase, and laws prohibiting tree cutting and killing wild life are in effect. However the menace of land mines will stay with us for years to come, requiring intensive action by our government. Building un-necessary roads on the mountains and hillsides should be forbidden, not only for its negative aesthetic value, but also to decrease erosion and increase soil water percolation. When absolutely necessary, such roads must be built with utmost care. Further Ban on hunting wild life should continue, and strict measures be applied to prevent wild forest fires. Such fires are usually start with negligence by a passerby throwing a lighted cigarette, or otherwise by picnickers who leave their fires burning after they leave. Some regulations are in order regarding the use of public lands for picnics. Mushroom was found to grow successfully in Iraqi Kurdistan and many farmers learned the art of growing and marketing it successfully. Unfortunately the Ministry of Agriculture stopped supporting the farmers by stopping the import of the spores which they were producing some years ago. This effort should be restarted as mushrooms are desired by the people and is being imported currently from neighboring countries. Establishment of national parks is very important to preserve the integrity of some areas in the countryside. It is very important that large parcels of land in selected suitable areas are set aside as national parks to keep at least part of the countryside in a natural state. Such areas would be enjoyed by people who love nature, and would also help preserve national wealth of the fauna and flora of the area where such parks are protected. At present we see many parts of the countryside abused by irregular settlement as people build anywhere they like, destroying in the process the natural habitat by building roads, cutting trees, landscaping and terracing the slopes, at great risks of endangering the environment and exposing the area to erosion. Therefore isolating parcels of land at specific locations will provide protect scenic sights from abuse, and would provide people to enjoy part of the untouched countryside. Botanical gardens are established to help preserve the flora and fauna of the area where they are set up. Many plant and animal species are annually endangered and possibly lost forever due to human or animal activities of continued abuse either through various human activities of road building, settlement construction, or by the animals through continued overgrazing. Therefore, selection and protection of few specific locations are important to protect and preserve the genetic variations that exist in our natural flora and fauna of our countryside. Further, specific plant species could be moved into this area to insure their safeguard. To better utilize local agriculture products and to decrease dependence on imports of household needs for pasta, oils, sugar, canned vegetables and fruits, jams and fruit juices, and in order to provide for a market for these products, establishment of specific agro-industries become a must especially to provide for jobs for the people and to raise the living standards of the rural population. Such agro-industries would be established in specific areas known for its potential for the production of the raw material required. A feasibility study must be carried out to delineate the potential area where the agro-industry is to be set up citing clear advantages over other suggested sites. The decision needs to be strictly based on the economic advantage rather than regional rivalries or political decision. Existing agro-industries should be supported or expanded and its management to be improved. One of the important Agro-industries that need to be immediately set up is feed mills which are needed by the livestock and the poultry enterprises. Current market prices of beef, lamb and poultry are rather high mainly due to high import prices of feed. The feed imported is also of low standards which does not satisfy the required nutrition of the animals and poultry. Such industries must be established in specific areas of cereal production, in addition to areas where soybeans and maize are grown as summer crops where irrigation potential is available. Implementation of this industry has the priority to decrease local meat prices to benefit the lower income group who at present meat and poultry price level have been disadvantaged. With our vast rangelands and feed production resources, our region should embark on vast dairy agro-industries for the production of milk and milk products. The existing pasta production agro-industry should be supported, with possible expansion. A feasibility study is needed to determine if others are needed in other location based on the extent of local needs and export potentiality. Establishment of above agro-industries would improve and expand fruit production in Iraqi Kurdistan and would lead to better management of fruit orchard as marketing potential would be increased. Experimental fruit nurseries should be expanded. Suitable and superior fruit trees should be selected and grown as mother trees for improving farmers orchards. Similar consideration would be given to vegetables where specific suitable canning varieties must be selected and its cultivation be expanded. The main crop used at present is sunflower. Since the current few oil pressing plants are insufficient, a feasibility study would be required to determine where other processing agro-industries be set up that will be sufficient to satisfy the needs of the local population. The Iraqi population in general and the Kurdish people in particular consume large quantities of sugar. In the middle of the last century two sugar plants were constructed, one in Mosul in 1959, and the other in Sulaimany where a small percentage of sugar needs of the population was satisfied. However, the sugar industry in Mosul has stopped, while the one in Sulaimany was bombed out during the Iraq/Iran War. Another attempt at rejuvenating the sugar industry is recommended, especially that this crop would support the rise of dairy industry, as the latter utilizes a silage mix of the beets’ byproducts (beet tops/pulp and molasses) for feeding the dairy cows. Actually, growing the beets alone for sugar production is costly and would become economical only when combined with the dairy industry. Another important consideration is that introducing sugar beet in the farming crop rotation program, improved production potential and leads to increased level of crops in such a rotation. Again, we need to carry out a feasibility study to identify the location where such an industry be located and where the bulk of the crop planted. Germian region would be an ideal location for such an enterprise. Expansion of honeybee culture in the countryside is important not only for the valuable harvest of honey which is an essential household food, but also for supporting the production of seeds of many plants and fruit trees which depend on the bee for pollination and seed and fruit formation. An example is alfalfa, which is an important livestock feed, which cannot form seeds without bee activity that collects pollen and helps in the pollination and eventual seed formation. Kurdistan is well suited for the honeybee culture and should be expanded and improved. It is unfortunate that the majority of those who raise honeybee use primitive bee-hives which decreases harvest of the honey which is also of poor quality. Farmers should be trained and helped to use modern hives and better cultural practices to improve honey production and its marketing throughout Kurdistan. 1. For an efficient utilization of land resources, a comprehensive soil survey must be carry out to appraise the capabilities of our agricultural lands and to determine the type of crops suitable to be grown, and the need for specific fertilizer needed. 2. As the ongoing climate change indicates a decrease in the amount of rainfall, serious attention must be paid to the utilization of our water resources. A survey of our water resources, both surface and underground water must be carried out and specific measures be taken on the basis of the findings to issue regulations governing the management of available water resources. Well drilling, dam building, and crop selection would be based on the findings of this survey. 3. Care should be taken in the building of water dams to insure minimum loss of agricultural lands, and possible damage to the environmental of the location. Modern agriculture requires modern agricultural tractors, tools and implements for efficient management of farm operations. Plowing techniques vary according to soil type, and therefore farmers must be made aware of proper use of the machinery they have to avoid damage to the soil and its exposure to erosion. 4. Introduction of pest management control to insure minimum weed and pest presence to improve yields and quality of the crop/fruits produced. 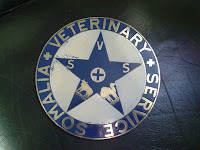 Veterinary service must be upgraded to minimize animal and poultry diseases. Adequate veterinary clinics must be made available to insure proper diagnosis and treatment of farm animals and poultry. Excessive after-harvest must be avoided. This measure requires proper storage facilities, silos and proper transport facilities. 5. As the trend of use of tunnels for vegetable production is increasing, required technology for raising plants under tunnel condition need to be addressed to minimize disease and pest prevalence under such conditions. Further, use of fertilizer, both major and minor must be thoroughly investigated. Current breeds and management of dairy cows is less than desired. 6. More attention is required in the feeding and health care of farm animals. 7. Greenhouses, cold storage space, veterinary supplies and facilities, etc. should be made available to researchers for carrying out adequate research in all aspects of agricultural improvement. 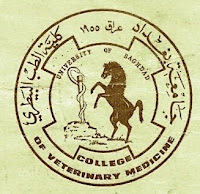 Further a well educated staff, trained in plant, poultry, and animal research methodologies is required to carry out meaningful research to insure adequate conclusion from the research conducted. Such staff should have constant communication with relevant International Research Centers for consultation and periodic visits. Attending international conferences and symposiums is another way to enhance the capabilities of our research workers. 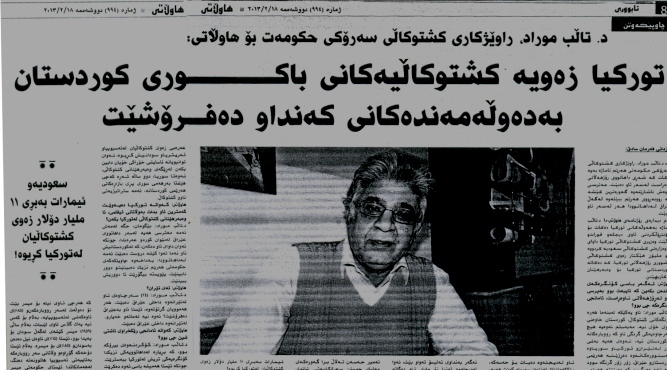 The continued years of strife during the Baath regime starting with the Iraq/Iran war (1981) demanding excessive recruitment of the young population for war efforts, in addition to government assault on the Kurdish towns and villages during the notorious anfal campaign (1987), followed by government invasion of Kuwait(1990), are events that have paralyzed the agricultural sector. The country became more and more dependent on imports of agricultural products to feed its people. However, budgetary allocation for this effort was insufficient, which lead to acute shortage of food items, leaving the population in a famine like situation. As a way out of this dilemma, the Security Council eventually came to the rescue and set up a program to provide for required food item for the Iraqis, using money received from the export of oil for this purpose. This action saved many lives and rescued the country from an imminent famine that was quickly descending on the country. This program was named the “Oil for Food Program” which commenced in the spring of 1996. Unfortunately, due to sanctions that were imposed on Iraq, the Security council forbade procuring any food item that went into the monthly basket distributed to the population from local markets. Furthermore distribution of such baskets covered the total Iraqi population, without exception, to the rich and poor alike. It is imperative that this program be reviewed and amended, if any rejuvenation effort is desired in the way of rejuvenation of the agricultural sector. There is no argument that the poor has to be attended to. However, distributing food items to such an extent, to the rich and to poor, is not warranted. Most of the food received by the former group, by the well to do people, is either not claimed, or else is given away, as charity, or sold back in the market. This procedure inundates the market with surplus food items, making locally produced food items irrelevant. Further, farmers who is capable to depend on himself, find that he already has what he needs and therefore why bother working in the field to produce agricultural items that has would be sold for a loss. That only the needy should receive the monthly food basket. To implement this idea, the families should be asked to submit a petition that they cannot survive without the monthly basket. Such requests should not be challenged and should be complied with forthwith. Exception to this rule should be farmers who own large land plots, minimum 32 donums, (8 Ha) who should be asked to get their needs from farming their own lands, or else allow others to farm their lands with an agreed upon rent. Under this scheme, such farmers would be given a one year notice before their ration will be cut off. A. The wheat in its original form can be stored for a long time, while the flour would easily be spoiled. B. Importing the wheat as flouer denies the country from an important component of the milling byproduct. The hulls that is separated during milling (about 70-80%)are important feed mix for poultry and livestock alike. C. Milling the wheat internally will increase local employment who will engage in the milling and transport activities of the grain, and during poultry feed production. D. Money saved from decreased import of agricultural products could be added to the rejuvenation effort of the agriculture sector in the country. E. Decreasing imports and denying landowners from the basket would improve prices of local agricultural projects, thus encouraging farmers to return to their lands to participate actively in the rejuvenation of the agricultural sector. Improvement of the economy of the agriculture sector will eventually lead to improvement of the quality of life at village level and help move the farmers from their current medieval status into the modern age. There is no doubt that without implementation of the above scheme, or any other alternative to currently implemented schemes, no progress can be achieved in the agricultural sector. The current oil for food program is restrictive to any rejuvenation program of the agricultural sector in Iraqi Kurdistan. Production methodology in the agriculture sector is in need of a complete overhaul. Aside from introduction of recent plastic houses for producing horticultural crops, tomato/potato/and cucumber)and few poultry and dairy production projects, agricultural methodology for the production of major field crops, vegetables and fruits, requires much improvement. Likewise the animal sector and poultry are also in dire need of rejuvenation. The idea of crop and animal management, care and disease control, mechanization, fertilization, storage, marketing, has yet to be implemented on a large scale. Many fields have been ruined due to lack of information on the proper use of agricultural machinery. Crop yields have remained low due to minimum use of uncertified seeds, lack of insect and pest control measures, and other management practices in planting and harvesting activities. The program would start first by the assignment of a core of specialists at the main agricultural center at the level of the Muhafada, who must be known for their wide experience and specialization. Their main task is the implementation of a weekly training program for the extension workers on subjects relevant to the seasonal activities. This group of specialized personnel should be in constant touch with both the staff at the agricultural research centers and that of the university. The agricultural extension staff at the level of the Qaimqamiet (mentioned below) will depend on them for resolving agricultural problems in their districts. b. The Qaimqmiet group receives advice from the core of specialists (mentioned above) and would be made up of staff familiar with the their district who will advise the extension workers assigned to the third level(the Nahias). These specialists would be the ones who will train the extension workers on a weekly basis. c. At this location, the Nahias, the agricultural extension workers are the ones who would be in direct contact with farmers on a planned daily regular visits to farmers fields located on their assigned routes. The extension workers will also assign the number of contact farmers who would also regularly be present at the site of the contact farmers on the day he visit them. Further, there would be about 10 farmers to each contact farmer who wikll attends the weekly visits of the extension worker to the contact farmer. d. The extension workers are the ones who wouild be in direct contact with the fasrmers on a weekly basis. They will assign daily routes for there visits, 4 routes per week, while the fifth day they will discuss farmers issues with the district specialists at the Qaimqmiet level whio find answers for existing problems at the field level . e. Any problem not resolved by the second district specialists would be discussed at the level of the Muhafada on regular basis. The extension workers become sort of jack of all trades, as he become knowledgeable on all aspects of plant, animal, and poultry production and management practices, and identifies requirements needed to maximize plant and animal yields at the farm level. To do his job, an extension worker must be given a facility to visit farmers’ fields for 4 days a week, leaving the 5th day for training. To explain further the following scheme is in order. Let us take one district, say the main District center (Muhafadha). We will have a core of agricultural specialists(Plants, poultry, livestock, and beneficial insects) in all aspects of a specific discipline(soil management, insect and pest control measures, and general crop and livestock management) assigned here who will be on guard for any adverse event that may come up and would be available to support the Subject Matter Specialists in resolving a problem that may arise at the Muhafada level. At the level of the secondary district, Qaimqamiet, we will have subject matter specialists selected on the basis of the agricultural activity most relevant to that area. These are second level specialists who will be updated periodically on activities planned for that location by the main specialist identified in the Main District. At the Nahia, the third level, we will have the agricultural extension workers who would be the ones who be constantly in touch with the farmers of their area on a weekly basis. For each agricultural extension worker an area is marked for his weekly tour. Usually a number of locations are identified on each tour line, numbering three of four farmers whom we call contact farmers. On these visits, the extension worker will attend to the task of the day, be that an immunization requirement of a livestock, a seed treatment procedure before planting, advising on the feed need of the poultry, or the pruning needs of a tree. The farm activity of the season determines what the extension worker will emphasize. 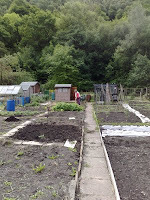 For the next three days that follows, the extension worker will choose three other preselected routes attending other contact farmers and their visitors, advocating specific advice for the season in question. On the fifth day, he will attend a training session at the Qaimqmiet center where he explains problems at the farms, his recommendations, and will present to his subject matter specialist any question that he may not have resolved. At these sessions the activities of the following week will also be explained, and if there was any complicated situation where the local subject matter specialist could not answer, then the problem is raised at the meeting of the subject matter specialists at the main Muhafada center, where they periodically meet to settle unresolved matters. 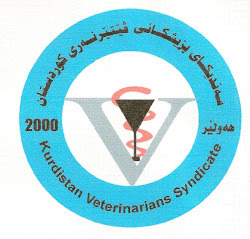 This Extension methodology has been named T and V Extension System, or Training and Visit Extension methodology, Whereby there would be continuous visits at the farmers fields, and weekly training at the level of the Qaimqamiet, and periodic training at the Muhafada level, to resolve any problem that may arise, and most importantly, to transfer the latest research findings from the Experiment stations to the level of the farming communities, in addition to returning problems to the research centers for solution. It is to be emphasized that this extension system is a two way vehicle of technology transfer, i.e., of newly found technologies to and from research workers (Ag. research centers/University) to the extension staff, and eventually to farmers fields, while at the same time information of the effects of the application such technologies will flow back to the research workers. Similarly, farmers’ problems will be transferred from the extension staff back to the research center of the university to be resolved and returned. Such newly found information would also enter into the teaching curriculum to update information on the course being taught at the university level. The extension system thus identified will also formalizes agricultural exhibits, arranges for specific prizes for outstanding farmers and emphasize new production technologies, thus connecting the farmers to the outside farming world. The system requires constant mobility of the extension worker for which he needs either a motorcycle or an alternative transport facility, depending on the track the extension on which the extension worker is traveling. The subject matter specialists and the core specialists also require transport facilities which are needed to be provided for. The program requires also video and audio facilities, special equipment and implement for demonstration purposes, plus training facilities and periodic accommodation of the staff during their training programs. Local and overseas visit should also be facilitated to check on the manner of agricultural extension procedures applied in other countries. The staff would be encouraged to attend conferences and specific training program offered by International Agricultural Research Centers, and other agricultural institutions elsewhere. In the Garmian region, wheat is generally grown under rain-fed condition. Annual rainfall is unpredictable, and has been in short supply in recent years. It is suggested that in this area, and any other vulnerable areas where rainfall is scanty and crop production is unpredictable, some measures be taken to eliminate the chance factor, to annually insure a favorable crop yields. The scheme suggested below is feasible and its advantages outweigh any expenses that might go into the cost.. In this scheme, irrigation water would be provided so as to change the area from rainfed status to an irrigated agriculture. As the area is for the most part without irrigation facilities, farmers grow wheat/and or barley under rain-fed condition. Due to the erratic nature of the rainfall, yields are generally low, barely covering the production cost, especially in the face of low wheat market prices. a. With the possibility of irrigation water, summer crops would be introduced giving the farmer better income opportunities. .
b. With the availability of the feed crops, incorporation of the livestock in the farming program becomes also possible. c. Farmers in this area would have the opportunity to make maximum use of their land instead of solely growing an unsure cereal crop in the winter. e. There would be also the potential for the establishment of specific agro-industries in the area, especially establishment of feed mixing mills to provide for the feed needs of livestock and poultry. f. Growing specific feed crops such as clovers and alfalfa would pave the way for introducing honey bee production in the area which feeds on the flowers of the forage crops. g. With the increase of dairy cows in the area, establishment of a dairy industry will also become feasible. h. Another important possibility would be the introduction of sugar beet production in the area, which would become economical once combined with the implementation of a dairy industry in the area. The sugar beet tops(mostly leaves with part of the beet) and the resulting pulp after pressing, combined with the molasses produced as a byproduct in the production of sugar, is a superb feed for livestock that benefits the dairy industry and makes production of sugar from sugar beet more economical. I recommend that a feasibility study be immediately started to check on the possibility of the above scheme. I suggest also that the World Bank be invited to carry out a comprehensive study of the potential crop production program in this important region. هەرکەسێک ئەو گایەی بینی ئەوا بزانە بەقاچاغ هاتووە..
ئەو گا گەورەیەی لەسەرەوە دەیبین (کێشەکەی نزیکەی ٧٠٠ کیلۆ گرام دەبێت). ئەوە ئەگەر لە هیندەوە نەهاتبێت ئەوا بەدڵنیەوە لە پاکستان هاتووە، سەیرە کە لەوەدایە کە ئەو گا گەورەیە لەهیندستان و پاکستان دەفرۆشرێت و خەلکی ئەو ناوچەیەیە، ئەو گایە بە سنوری هیند و پاکستان و ئەفغانستان (لەسنوری هیرات دەرچووە بۆ سنوری ئیران) هاتووە لەوێوە بۆ ئێران هاتووە (هەر بەقاچاغی) لەوێشەوە هاتووە بۆ کوردستان ئێستا لە بازارەکانی سلێمانی و هەولێر زۆر بە ئاسانی دەیفرۆشن. کە ئەوە دژی یاساکانی هاوردەکردنی ئاژەڵە لەهەر چوار وڵاتەکە. جاوەرە ئەگەر حکومەت نەتوانی پێش لە گایەکی وا گەورە بگرێت و بە قاچاغ بێتە کوردستان چۆن دەتوانێت رێگا لە کەسێکی پیاو خراپ بگرێت کە نیازی پاکی نەبێت و بیەوێت ئاسایشی وڵاتەکەمان بخاتە ژێر پرسیارەوە.